Available Tuesday on Blu-ray and DVD through the Criterion Collection. 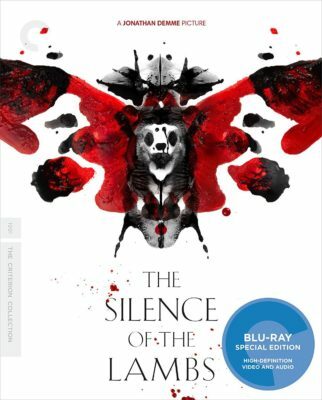 With GET OUT snagging a Best Picture nod this year, the relationship between the Academy Awards and the horror genre comes full circle with the Criterion Collection release of THE SILENCE OF THE LAMBS, which won Best Picture in 1992. It’s a film that’s not simply a horror flick that’s just fun and/or scary, and that’s all it has going for it. SILENCE OF THE LAMBS blends horror with first-rate drama. Needless to say, SILENCE OF THE LAMBS takes many twists and turns, creating a suspenseful thriller that doesn’t share an equal. At the heart of it all is the relationship between Hopkins and Foster’s Hannibal Lecter and Clarice Starling. It’s very much a high-stakes game of chess with words, where one is trying to get inside the mind of a killer while the other tries to learn an agent’s innermost secrets. It’s a perfect movie. And its original Criterion cover art, packaging and special features are worth the bite out of your wallet. Extras: The Criterion Collection release includes many archival featurettes and documentaries as seen in previous releases. Except now it’s all been rolled into one definitive edition that also includes a new 17-minute examination of people’s fascination with serial killers (critic Maitland McDonagh articulates how these stories make us feel more sane about ourselves), 38 minutes of deleted scenes and a nice booklet complete with essays and interviews.